Whether your customers are around the corner or around the world, we have a solution to meet your needs. The Fanpilot full-service social media management offering is like having your own in-house social media team, but for a fraction of the cost. Our social media managers, writers, graphic designers, and media buyers build and enhance your social channels, create and publish your content, respond to your customer comments, grow your social communities, and drive your sales. Our social media specialists manage all the details of your program from setup to scheduling, daily posting and beyond. We create custom content that engages customers, grows social communities and drives sales. We grow your customers by expanding your social reach though targeted outreach and managed advertising. Our social media specialists carefully tailor responses to your customer’s comments, to encourage dialog and build brand trust. Compelling content, sweepstakes, and exclusive offers are used to reward customers and encourage sharing. Our easy-to-use reporting dashboard makes it simple to track performance and activity across all of your social accounts. Our graphic designers create custom graphics that encourage user engagement and sharing. We monitor and manage customer reviews across Facebook, Yelp, and other popular review sites. If you have an e-commerce website, we’ll integrate your social media to drive more sales and improve customer retention. Our local-SEO experts help your business get found in Google maps and other local search tools. We monitor and remove inappropriate content, comments, and associations across your social media accounts. We help you to manage potential and real risk to your brand associated with social media exposure. How much does it cost for a managed program? Costs for a fully managed social media program start at $600 per month and is entirely dependent on the number of platforms, publishing frequency and any additional services you might require. We charge a setup fee for month-to-month programs. You can cancel your program at any time with 30 days notice. In the event that you cancel during the first 6 months, you might be liable for the setup fee. Program setup typically takes 1 – 2 weeks from start to finish. When do you start posting on social media? We start posting on your social media accounts once the setup is completed and we receive approval of the first content calendar from you. How do you generate Likes and Follows? Depending on your specific program we use a combination of organic outreach and advertising to build social media Likes and Followers. If you need to grow your Facebook page Likes, build your brand exposure or generate sales then Facebook advertising should be part of your social media marketing program. Is your business getting lost in the Google Maps results? Our local SEO service puts you at the top of Google local search results in your local market area. Our customer review management services monitors and manages your customer reviews across Yelp, TripAdvisor, Facebook, Google, Foursquare and Yellow Pages. "They have been great to work with as a partner in developing our social media strategy." 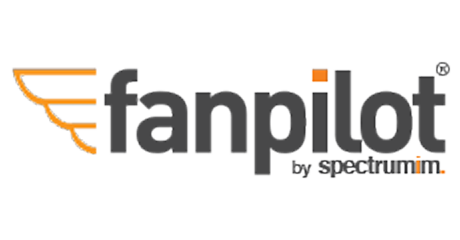 "Fanpilot took the time to understand our business and aptly applied their expertise to build our brand from the ground up." Not sure what your needs are or you need franchise pricing?